I've managed to remain pretty busy these past few days. 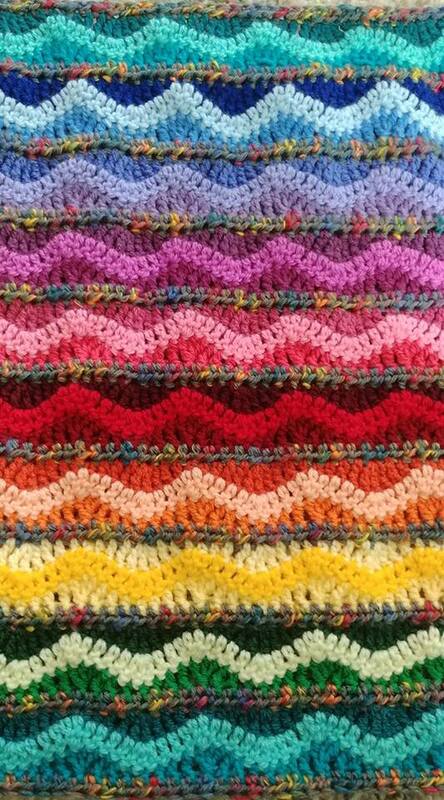 I am working on a rainbow baby blanket and it is coming out nicely. I will post final pictures once it is finished, probably in about a week. 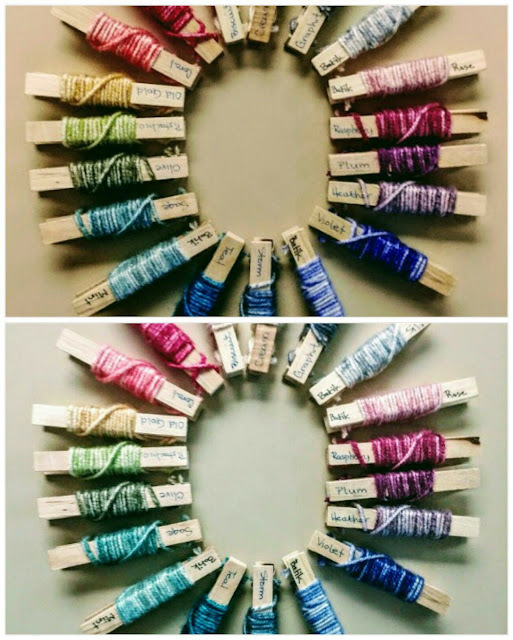 I spent a little time Saturday night writing down the projects I want to tackle using yarn I have in the craft room. Looks like I will be busy for quite some time if I plan to make all of those lovely items on the list! I upgraded my phone Saturday morning after a nice leisurely brunch at Cracker Barrel with my husband. I wanted a phone with a better camera so went from the LG3 to the LG6. I hated to upgrade after only 2 years because the phone is in great shape, but the camera just wasn't doing it for me. Here's a comparison of photos taken by the different cameras with the new one being on top. I did play around with an effect for the photo so it isn't as crisp as the original picture, but you can certainly see the difference in the colors which was my main complaint with the LG3 camera - the colors were never quite right. The great thing about staying with the LG is that I didn't have to learn the phone all over again! 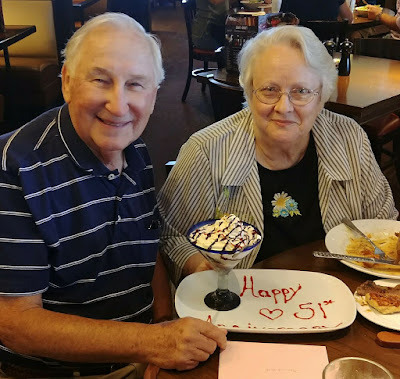 My parents celebrated their 51st anniversary on Sunday and we all went to lunch together. Longhorn Steakhouse was so sweet and brought them a complementary dessert to share! Mondays are usually my big "to-do" list days. I've managed to get through most of it, so will probably put the rest of my chores on other days this week. One big thing I worked on this morning was decluttering my bookshelves and pulling out books I no longer want to keep. That meant the final clearing out of books I had purchased for our homeschool - most of them were ex-library books and so not accepted by the used book store. However, my local library will take them and put them out in their used book sales, so I will be dropping them off there soon. It feels good to be getting rid of books that will never be read anyway. I did find that some of my books are worth selling so I will be listing them online when I figure out where the best place for that is! My oldest starts his EMT training today at the local community college. He will take the Advanced EMT classes in the spring, sit for his certification exams and then begin working as an EMT next summer sometime until he decides whether or not he is going to pursue medical school. It is a tough decision to make as it is a TON of money through school loans and about 8-10 years of schooling/training before he would achieve his dream of being a surgeon. Some days, he isn't sure the dream is worth the investment and, other days, he is totally gung-ho about it. I think a lot will depend upon whether he gets into medical school or not on his first try. He also has the option to pursue Paramedic and Advanced Paramedic training/certification which would help him learn more skills and earn more money ... We will see! This week looks to be a nice, easy week and I am looking forward to a lot of time for crochet and reading! I plan to review some books this week, so stay tuned!